When Swiss artist Alberto Giacometti (Rush) runs into his old friend, American art critic James Lord (Hammer), he convinces him to sit for a portrait, promising Lord that he won’t miss his flight home. However, as Giacometti is repeatedly crippled by self-doubt and demands that he must start the work again, Lord is forced to stay, experiencing the artist’s creative, chaotic genius first hand. 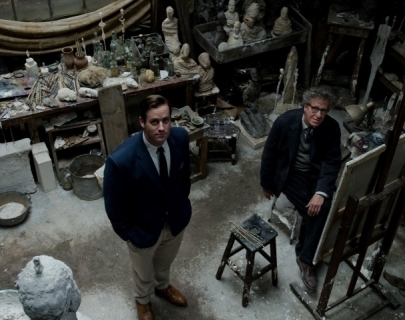 Based on a true story, Final Portrait examines the manners, art and habits of Giacometti in 1960s Paris.